Many of our trees are under threat from the introduction and spread of imported pests and diseases. As an Association that champions the sustainable management of trees, for a sector that revolves around caring for trees, it is imperative that we acknowledge these threats and look at how we can all help to prevent or mitigate against them. The Arboricultural Association have made biosecurity a key area of focus for 2016. To build upon work we have already undertaken collaboratively with other organisations, we are pleased to introduce the Arboricultural Association’s ‘Biosecurity in Arboriculture and Urban Forestry Position Statement’. This statement outlines some basic biosecurity principles that should be adopted to reduce the unwanted introduction and spread of tree pests, diseases and invasive tree species. 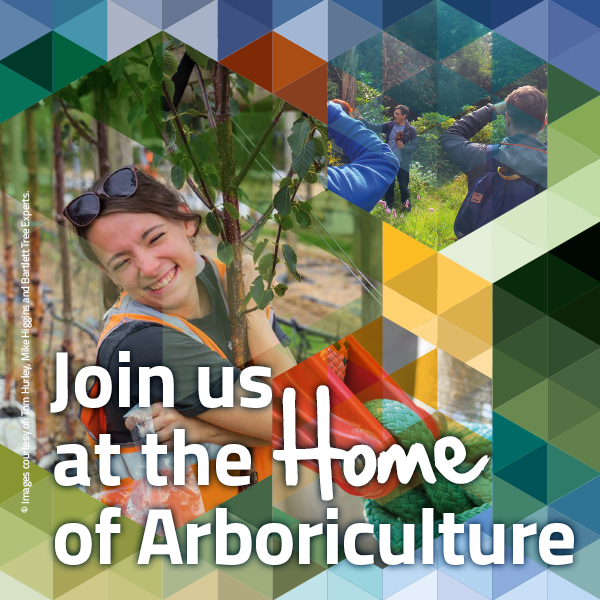 This document is aimed at our members, those working in the sector, and those working across the wider industries that connect with arboriculture and urban forestry. It is not an answer to the biosecurity problems we face, but it is a beginning. It is a progressive, industry-led first step, looking to build upon all of the positive and forward thinking steps already undertaken by mainly governmental organisations to date. The statement has been developed by a team of AA members from different sectors. It aims to be relevant to all those working with trees, whether in a practical, production, tree management or consultancy role. It also supports the work already being undertaken by many of our members in raising awareness of biosecurity issues and threats and in implementing controls. The introduction and broadcasting of these principles are important developments and will pave the way for the production of further detailed guidance, and suggested requirements, for the industry. We are already working hard to help those who wish to implement company level biosecurity policy by producing a free to download outline document. Please keep an eye on the website for more information. Please take some time to read the principles and if you are unsure about any of the practices and principles please refer to the Arboricultural Association and Forestry Commission England for further guidance. The Arboricultural Association is committed to promoting the implementation and understanding of good biosecurity practices to assist in safeguarding the future of our trees from the introduction and spread of harmful organisms. Operatives and organisations undertaking work on or around trees should consider the reasonably foreseeable consequences of their activities. Adopting biosecurity risk assessment processes and policy commitments are prudent first steps. Those undertaking work on or around trees have a responsibility to implement routine biosecurity control measures for all sites and specific measures for higher risk sites highlighted by the biosecurity risk assessment process. This should include the cleaning and disinfection of clothing, PPE, tools, equipment and vehicles. Arboricultural operations such as pruning, felling and planting should be planned, managed and supervised to minimise the movement of arisings and soil. All arisings must be appropriately disposed of. Organisations working on sites with trees should ensure that their operatives understand biosecurity issues and comply to adopted biosecurity measures. Training, guidance and supervision should be provided when necessary. Anyone designing, planning, or implementing planting projects should aspire to source home grown and nursed specimens avoiding, where possible, directly imported stock to reduce the risk of introduction of pests and diseases. Anyone responsible for tree supply should ensure that trees and associated soil are supplied to customers free of pest and disease at all points in the supply chain. Consideration must be given to the latency period* and life cycles of all pests and diseases in order to achieve this. Special attention must be given to imported stock. Good urban forestry practice involves managing tree populations to increase species and genetic diversity by focusing on the maintenance and establishment of trees with qualities suited to the site and the prevailing climatic conditions. Additionally, good species composition, age structure, stock quality and condition will help reduce the future loss of trees due to the introduction, hybridisation or spread of tree pests and diseases. Anyone involved with trees must encourage and promote adherence to these guiding principles and above all act as role models in this regard. * A period of time where a plant may be infected or infested by a particular pest or disease but where there are no physical symptoms that indicate ill health.